Capitol Police Chief Les Dimick and Sergeant at Arms Janet Miller brief a committee on security precautions in the Statehouse. Vermont legislators have long prized the openness of the Statehouse in Montpelier and eschewed metal detectors, surveillance cameras and other restrictions on public access. "People marvel that they can walk into this building and not feel like they are being watched or followed by some security apparatus," said Vincent Illuzzi, a lobbyist and former senator who has spent 35 years in the Statehouse. More than once, he headed a committee that weighed increasing security in the building. "Maybe we were naive or foolish or nostalgic, but we thought it would change the atmosphere in the building," he said. But after a spate of mass shootings and the public slaying of a Department for Children and Families social worker in Barre, some lawmakers see a need for training in how to respond to potential emergencies: shootings, fires and bomb threats. "There are some legislators who think it is not going to happen here," said Rep. Linda Myers (R-Essex). "That isn't true." A year ago, Sergeant at Arms Janet Miller showed lawmakers a video about how to respond should a shooter enter the building. She said she would email a link to lawmakers so they could review the video and would post it at the legislative website for the public to view. A professional training session would cost about $12,000 and require a day, Miller told the House Institutions Committee, the panel that makes recommendations about Statehouse security. Myers said the training should take place during the session to ensure all lawmakers attend. Rep. Butch Shaw (R-Florence) urged Miller to prepare a one-page sheet summarizing how lawmakers should respond to fire alarms, active shootings and bomb threats. "We need something boiled down," Shaw said. 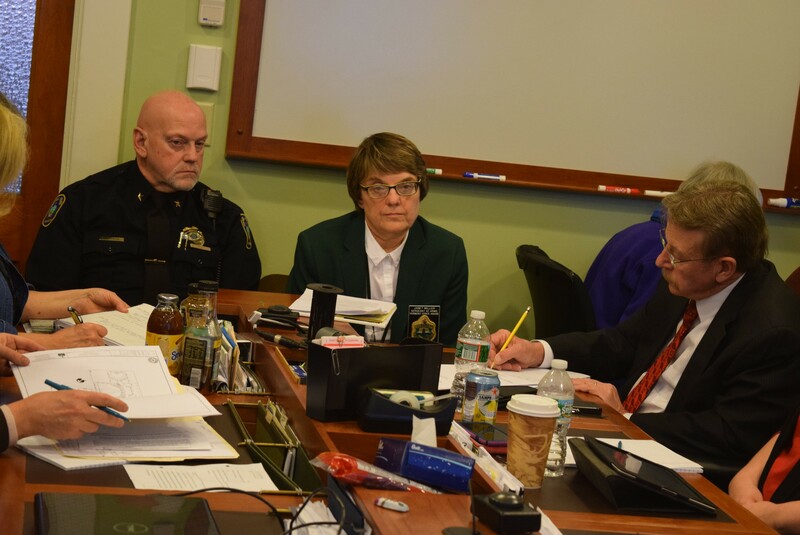 Capitol Police Chief Les Dimick reminded the committee about the medical emergency buttons located throughout the building as well as the "duress buttons" distributed to committees. Pushing the medical emergency button summons police officers with a defibrillator to the scene. Using the duress buttons "would say there is some other kind of problem," Dimick said. Miller has requested time before all House and Senate committees to review security. House Institutions Chairwoman Alice Emmons (D-Springfield) asked her to report back on reactions to help her committee come up with recommendations. Illuzzi said he still thinks "where policy is set, we don't have to worry about adverse actions. Where I think there is a need for more security is where policy is implemented." He cited DCF offices and courthouses — "where your freedom or rights or liberty is being restricted or taken away."